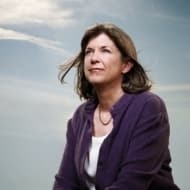 Judith Curry is Professor and Chair of the School of Earth and Atmospheric Sciences at the Georgia Institute of Technology and President (co-owner) of Climate Forecast Applications Network (CFAN). She received a Ph.D. in Geophysical Sciences from the University of Chicago in 1982. Prior to joining the faculty at Georgia Tech, she held faculty positions at the University of Colorado, Penn State University and Purdue University. She currently serves on the NASA Advisory Council Earth Science Subcommittee and has recently served on the National Academies Climate Research Committee and the Space Studies Board, and the NOAA Climate Working Group. Curry is a Fellow of the American Meteorological Society, the American Association for the Advancement of Science, and the American Geophysical Union.